Thus announced the pastor in his absolution at the Sunday morning worship service. How dead were we? Mostly dead? It’s another gospel-plus distortion of the gospel: The gospel + repentance – a prescription for spiritual pride and despair. You can never do it rightly, earnestly enough. How then to make sense of repentence? Read more here. The BIG celebration for Catholics in October 2017 is _______? 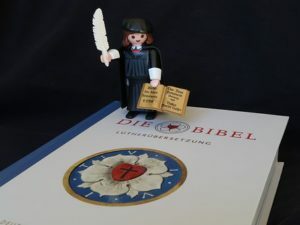 A group of laity and clergy dedicated to passing on the light of the Lutheran Reformation.